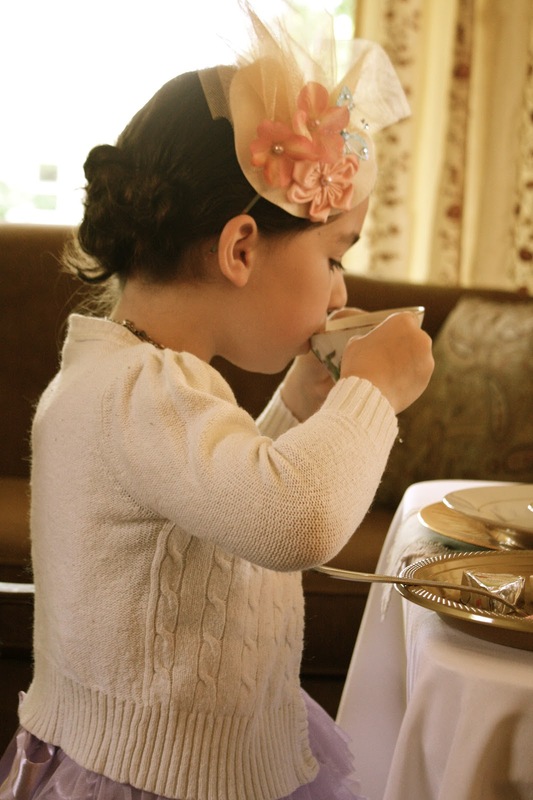 We celebrated Lydia's 8th birthday this weekend with a fabulous vintage inspired tea party. Our original plan was to hold the party in my Mother-in-Laws backyard, but with the threat of thunderstorms we moved the party back to our house and into our living room. We were all heart broken about not being outside, but had a delightful time anyway. How could you not with these cute girls surrounding you? The tone was set with our custom invitations, blogged about HERE. Once the girls arrived we split the 12 girls up into 3 groups and rotated between activities. My sweet sister set up the cutest nail salon. Not only did each girl chose a color and rhinestones, but also she gave them a full manicure. 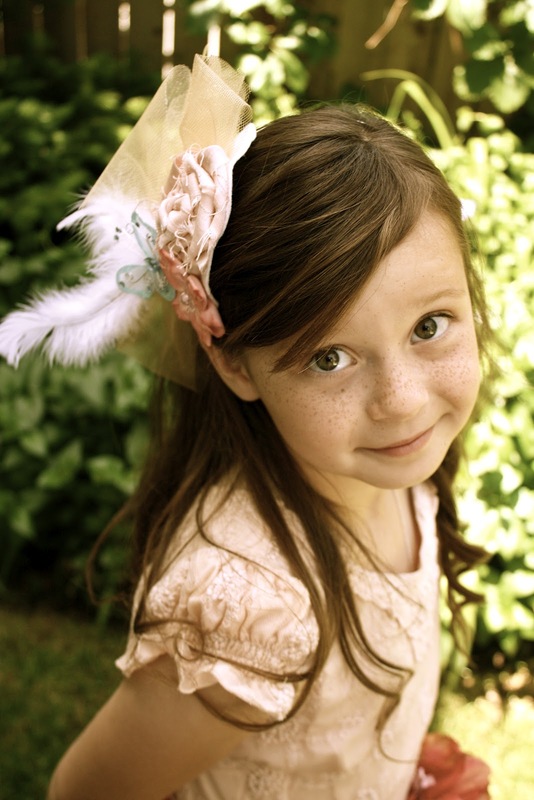 I didn't even know that "fascinator" was the proper term for these cute headpieces until I started planning this party. The girls were able to pick and choose from a variety of embellishments and flowers, to create something just their style. For more info go HERE. It was difficult for me to give them freedom to design their own but they all did a fabulous job and really enjoyed being unique. 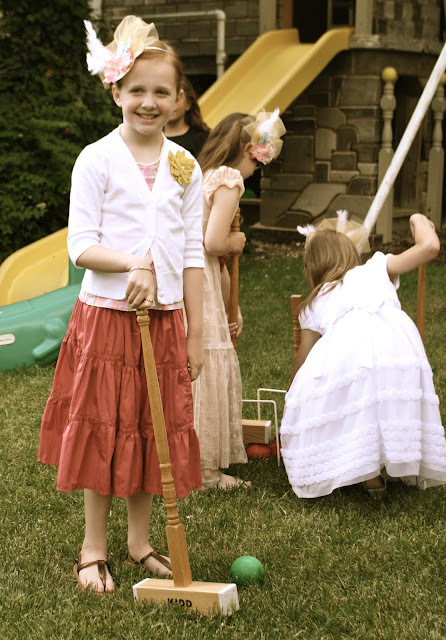 We were so lucky that the sky cleared up after a morning of rain so that we could play croquet in the back yard. Many of the girls had never played before but really got into it. Lydia said this was her favorite part of the party. After everyone had a chance to do all three activities was finally sat down for tea and lunch. One of my favorite parts was to just listen to the girls talk and laugh as they enjoyed each other. I love the little pinky sticking out, such proper etiquette. I made up menu's that matched the invites. My mother was the server in charge of food orders and my mother-in-law handled all the drink orders. My sister loaded the herbal tea with sugar so they would all really enjoy it. After the second course we gathered around the sweets table and sang Happy Birthday. Then the girls were able to pick and choose what ever treats they wanted. I spent three days in the kitchen baking everything myself. 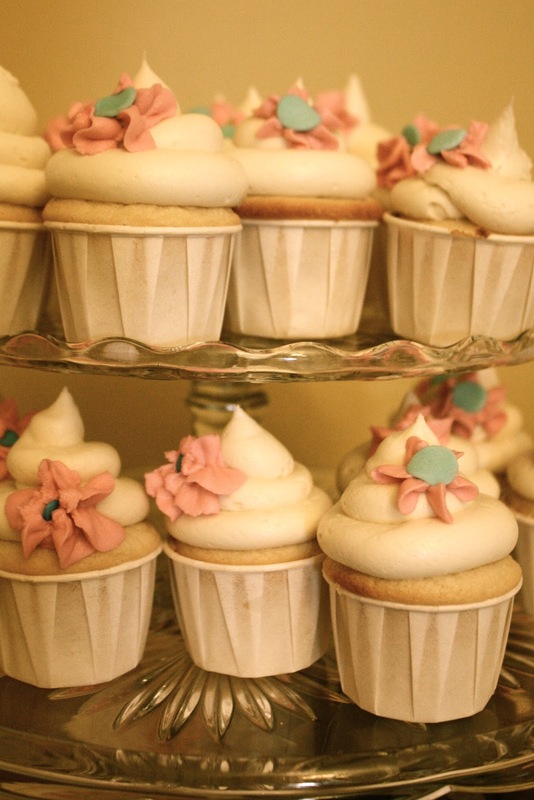 Mini cupcakes, cream puffs, two types of sugar cookies, cake balls, mini tarts, meringues, and Lydia's cake. I'll share recipes later this week. I loved the vintage lace cookies. So pretty. We were scrambling to make decor once we decided to move the party indoors. I printed a few banners and luckily had some bunting from my brothers wedding. It was a lot of work, but hopefully it will be a fond memory for the rest of her life. Can you do a little how to or a what you need to do those cute little hats? 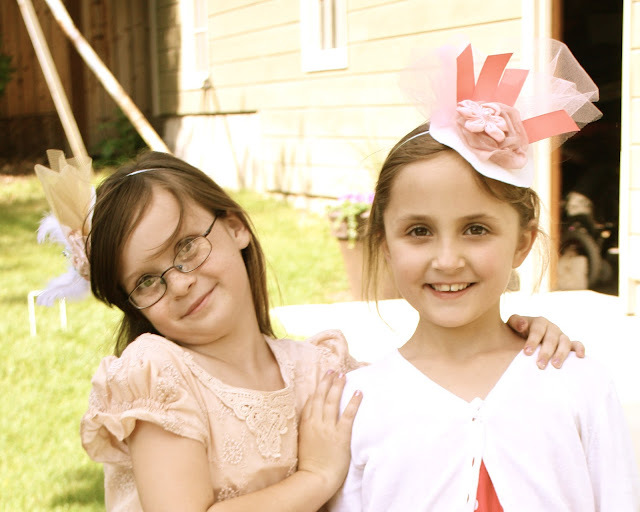 My girls would love them for dress up, and they look like so much fun. If my hubby wouldn't make fun of me I would wear one! wow, what a great pary... this week it's 10 years ago i did the same for my youngest daughter.. though it was less luxe. Tomorrow she will be 20. What a fantastic party!!!! Your baking looks soooo awesome!!!!! What a sweet party! And what a lucky little girl to have such a wonderfully talented momma to make all the beautiful details for her and her friends :) I'm am sure she (as well as the other girls) will remember the party for years and years! OH my gosh, can I be your friend?!? Oh wait, I am ... can I be your friend that hangs out with you more often? ;) This is adorable. Seriously. What a wonderful party! The food looks amazing. :) Happy birthday Lydia! oh it's beautiful, I love it! What an amazing job you did! I only have boys and am happy with that, but parties like this make me long for a girl. Okay, just a little bit. Great job! Such a lovely party! Your house actually matches the theme perfectly. what a gorgeous party, Kalleen! I love all the details, and I'm sure that dessert table was delicious, if you made everything! I would LOVE a party like this for my girlfriends and myself!! I cannot imagine how pleased your little girl and her friends must have been! What a lucky girl! oh, this is just lovely !!! What a beautiful party! The girls look like they had the time of their lives. I miss doing these things with my girls. Hopefully I'll be able to do it for my granddaughter when she is older! LOVING this sweet party!! 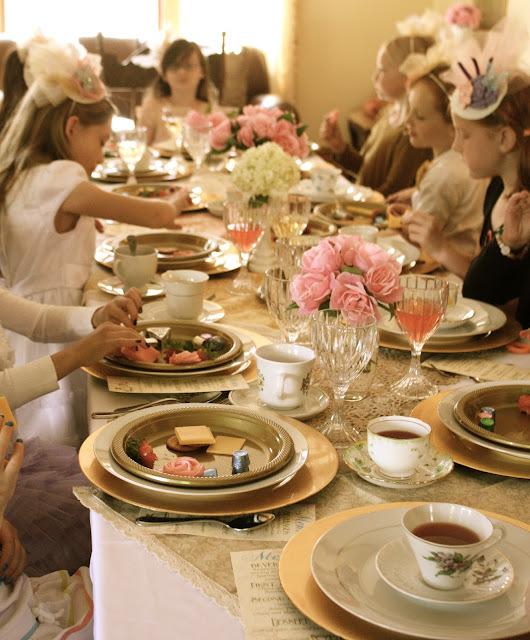 Reminded me of my tea party when I was little! I featured you on my blog today! http://missloviecreations.blogspot.com/2012/05/my-favorite-things-thursday-on-saturday.html I'd love it if you stopped by and grabbed a button! Hope you have a great weekend! what an awesome party! your home is the perfect place to host a vintage tea party, too. i love that you played croquet, that is awesome. it reminds me of 'summer magic' one of my all time favorite movies from my childhood. Lydia's dress is beautiful. i am seriously impressed that you did all this (three days of baking!!) especially while being pregnant! It's SO pretty, love the colors, the treats, the activities, I love it all! I think it's an amazing party! 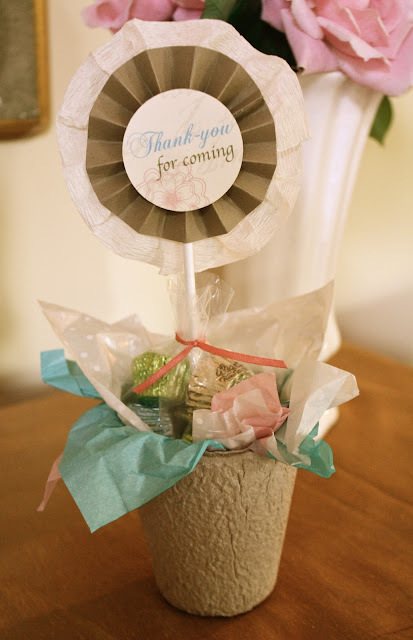 I'm featuring it today, thanks for linking up to Topsy Turvy Tuesdays! What a great momma! You rock! !